Most people schedule an appointment with the dentist weeks or even months ahead of time, so the ability to go into a dentist’s office on short notice, especially here in San Mateo is not a prevalent one. But sometimes there are sudden issues that arise that necessitate going to the dentist office as soon as possible. Sometimes, it might be an minor injury to the mouth area that has damaged your teeth or gums to the point that they require immediate attention but not a hospital visit. Sometimes, a person may have neglected their oral health to the point that they might need a tooth pulled or root canal immediately and can’t wait a whole week to see their normal dentist. This is why you may need to be aware of the best emergency dentists in your area, so you know who to contact first when such an oral emergency arises. If you ever find yourself in such a situation, you can research your local dentist society website and search for “urgent care, walk in dentist” and the name of your town or city. With this in mind, here are 3 of the best emergency dentists in the San Mateo area. 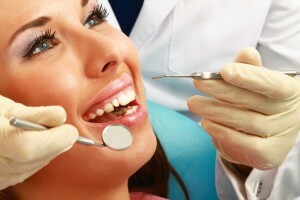 Description Call our San Mateo referral service Emergency Dentists USA phone number and get connected to an emergency dentist in San Mateo, CA in seconds! We provide a service that will get you to the dentist that fastest and easiest way possible, you can call us 24 hours a day, 7 days a week and its 100% free! Hui Dental is one of the most respected emergency dental clinics in the San Mateo area. With a staff of over 8 fully licensed dentists, it has enough staff on hand to handle a large number of clients on short notice. Even better, they still offer the whole range of traditional dental procedures along with their emergency care. They can do crowns, bridges, dentures, root canals, extractions, implants, teeth cleaning, cosmetic white fillings, gum treatment and surgery. They also offer consultations and can refer to you other specialists for second opinions or specific needs. A member of numerous dental associates, San Mateo Dental Care is another bright spot in the area. Though they are a more traditional dentist’s office that requires you to set up an appointment ahead of time, they do allow quick appointments one day ahead of time thanks to their large staff. This makes them an excellent dental emergency option. They can do cleanings and x-rays, root canal therapy, periodontal treatments, bridge repair, install Invisalign braces, do crowns and veneers, and dental implants. They also use the latest in diagnostic dental technology lke intraoral cameras, Cerec machines, and 3D scanners to help your dentist provide the best information possible. Serving the whole San Mateo area (including San Carlos, Foster City, Hillsborough, Burlingame, Belmont, Redwood City, Redwood Shores and beyond), Manyak Dental Group has established themselves as an excellent options for those looking for a walk-in dentist’s office. Like many others similar offices, they offer all the traditional types of dental services along with dental emergency care. This includes cosmetic dentistry, family dentistry, dental implants and teeth whitening. Also, those receiving a patient exam, cleaning and X-rays (covered by your insurance) will receive free teeth whitening for life. Before you go find one of these offices, or a 24-hour option that you located in your local dentist society website, you’ll have to ensure that you’re ready. Going to such a dentist on short notice means that unlike your general practitioner, this office won’t have any of your insurance or medical information on file. You can speed this process along by calling ahead of time and see if they accept your insurance coverage. Bring your insurance information to the office the day of your visit. You’ll also most likely need cash or credit to pay the day of your visit. Finally, if it’s a procedure that might require anesthetic or something else that might incapacitate your ability to drive yourself home, bring an additional driver to valet for you. Make sure you look for someone in the San Mateo area that can not only provide emergency dental care, but emergency tooth extraction if necessary. Having to find a 24-hour dentist on short notice can be frustrating and stressful. Not only are you dealing with the pain of your oral emergency, you also have to deal with finding such locations on the fly – usually with no one else you know who have been in similar situations and can refer you to someone. Such instances don’t necessarily have to be stressful. Not only are there plenty of methods for you to research the emergency dental locations in your area, you can also find the right one that will suit your needs perfectly. And the three emergency dentist locations on this list are just the tip of the iceberg with it comes to option available to you.